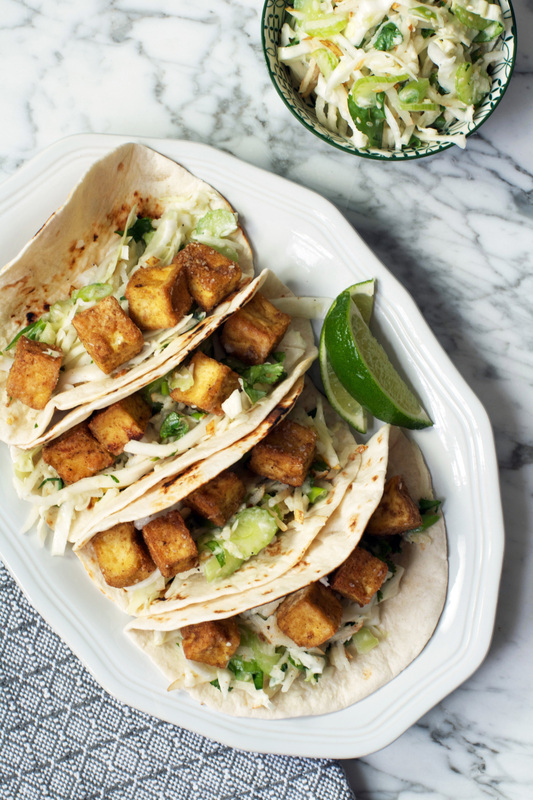 These healthy Asian crispy tofu tacos are so delicious, even meat lovers will be happy. 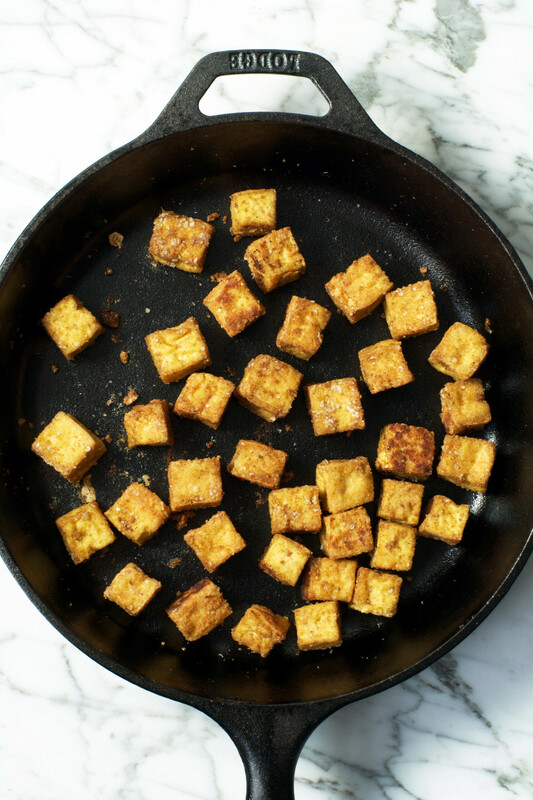 Tossed with warm Asian spices, then fried to crisp perfection, this tofu is delicious by itself. Served with a refreshing and vibrant asian pear slaw, this is one quick and healthy (vegetarian) weeknight meal. 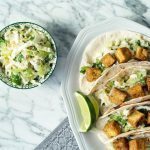 A fresh cabbage and pear slaw tossed with a buttermilk dressing keeps the flavors clean and simple in these tacos. Then crispy tofu, coated with ginger and cardamom, add just the right amount of spice. Piled into charred tortillas and topped with a squeeze of fresh lime juice, these tacos are good-for-you-, feel-good-food. Heat just 1 tablespoon oil over medium in a cast-iron skillet. Add tofu and cook until all side are golden brown. Transfer skiller to a 375-degree oven and cook 15 minutes until crisp. I love to add an easy, refreshing slaw to tacos. Instead of preparing a multitude of different toppings, choose one that’s flavor-packed, fresh, crunchy and herby and you’re good to go! 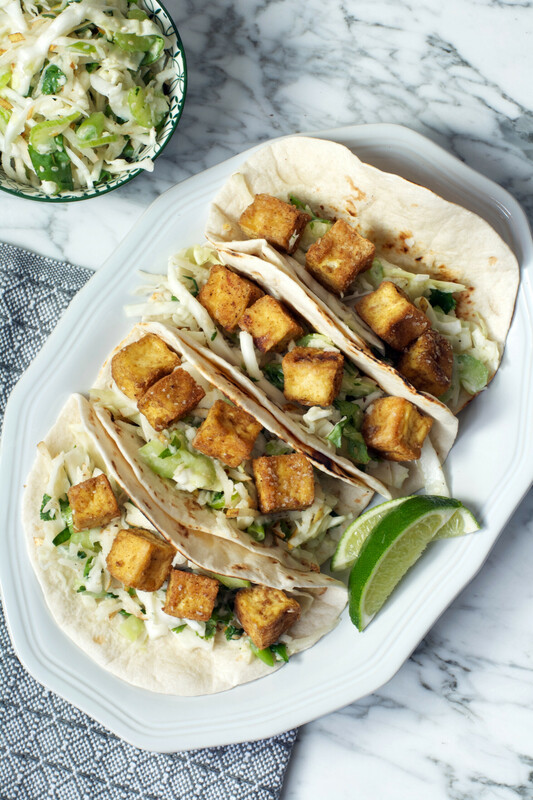 These Chipotle Tempeh Tacos also feature a flavorful slaw. A super easy way to add flavor to tacos (and enchiladas) is to slightly char your tortillas over the flame of your gas stove. If you don’t have a gas stove-top you can also char them under your broiler. I’ve found 15–20 seconds per side over medium-low heat works best for me. But the best advice I can give is to just keep an eye on your tortillas and flip frequently using tongs. 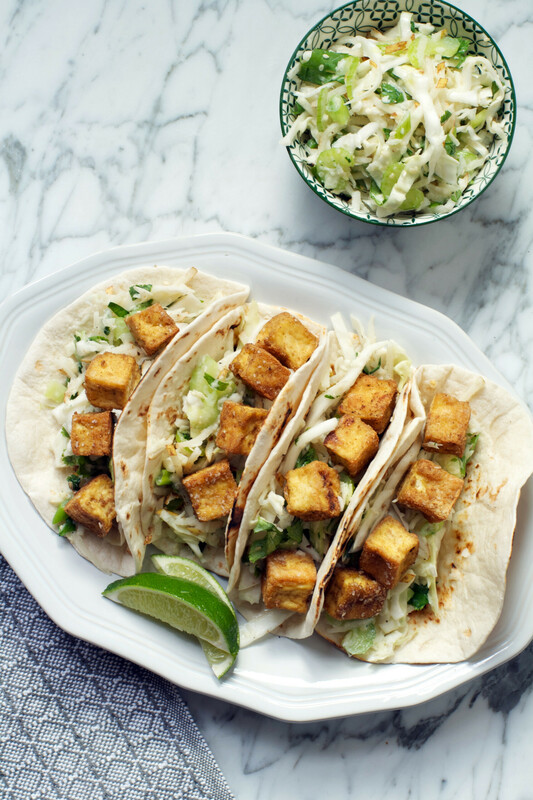 These healthy Asian Tofu Tacos are so delicious, even meat lovers will be happy. Tossed with warm Asian spices, then fried to crisp perfection, this tofu is even good by itself. Then serve with a refreshing and vibrant slaw for a quick and healthy weeknight meal. 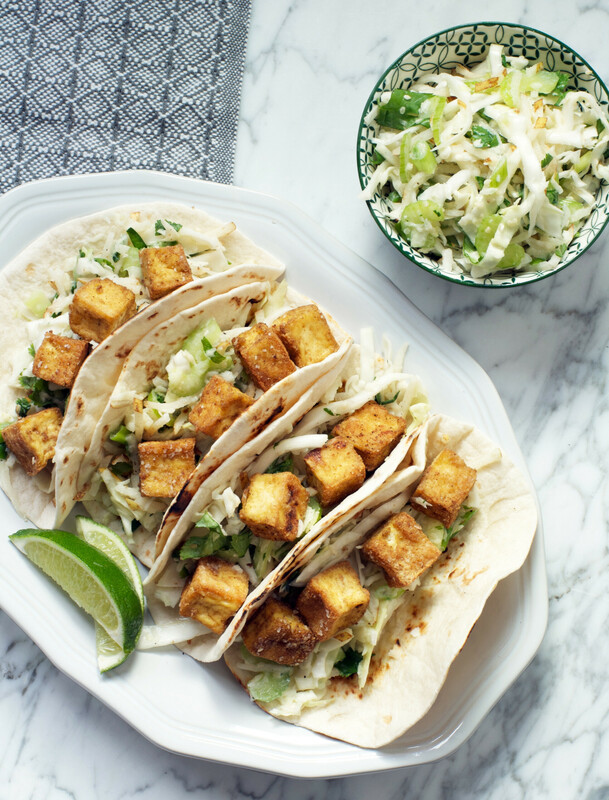 Arrange tofu in a single layer on a paper-towel-lined sheet pan, top with more paper towels and another sheet pan. Place a heavy weight (or a few cans) on top and drain 15 minutes, switching out paper towels once. Whisk together cardamom, 1 teaspoon salt, ground ginger, and white pepper in a large bowl. Add tofu and toss to coat. Heat oil in a cast iron or oven-proof skillet over medium. Add tofu and cook, stirring and flipping, until all sides are golden brown, about 8 minutes. Transfer skillet to oven and cook until tofu is firm and crisp, about 15 minutes. Whisk together buttermilk, yogurt, lime juice, Dijon, vinegar, and grated ginger; season with salt and pepper and set aside. 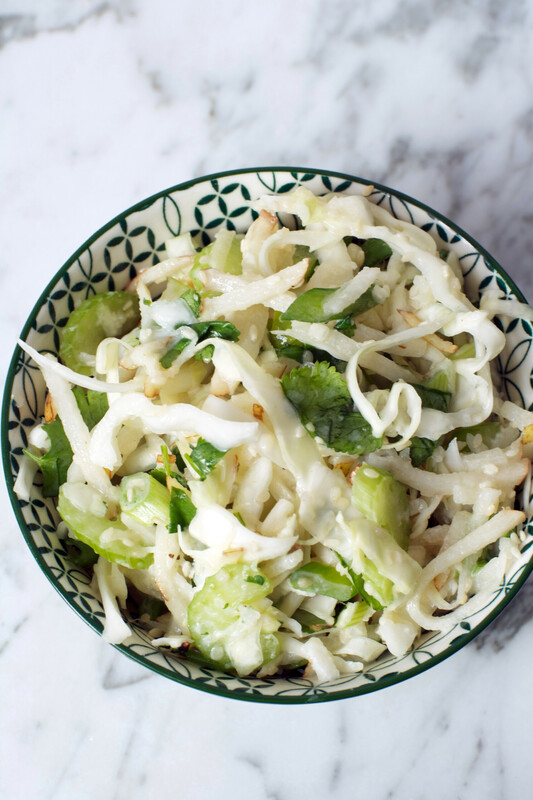 In a large bowl toss together cabbage, pears, scallions, celery, cilantro, and sesame seeds. Add dressing and toss to coat. Char tortillas on both sides over a low flame. 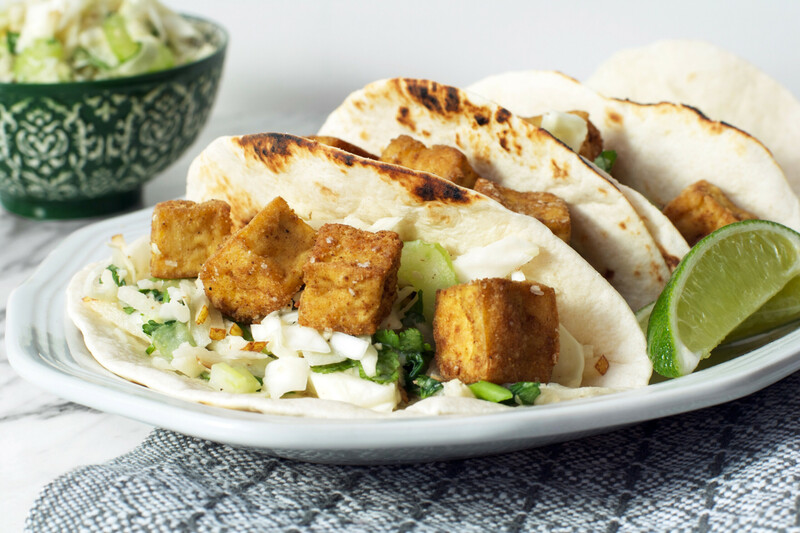 Scoop slaw onto each tortilla and top with 3–4 cubes of crispy tofu. Serve with lime wedges. This looks so fresh and light. 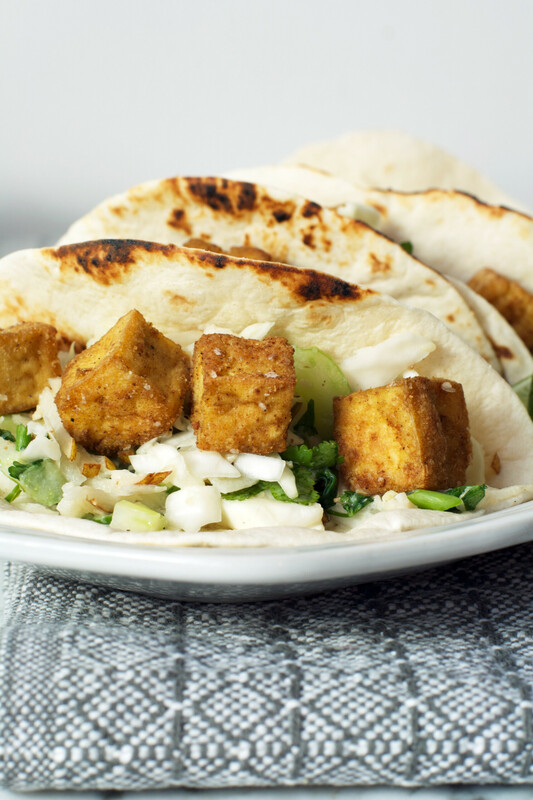 I always end up going with meat tacos but won’t mind switching things up a bit with Tofu!. Thanks Jenny! Meat is a good go-to, the nice thing about these is that the tofu is just as filling! Amazing recipe! You had me at “Crispy Tofu”. What a nice change from beef or fish tacos. I love the idea of an Asian inspired taco for something different! 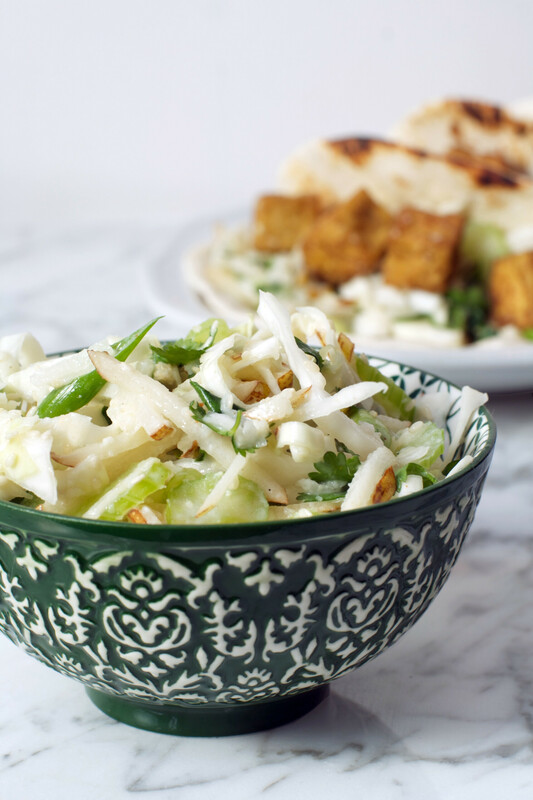 The crispy tofu and pear slaw sound like an excellent combo! Thanks Sonali! It’s a great way to keep things interesting! Love your recipes! Adding this to the list :). Also, love the new look even tho I’m a bit biased – I’m blessed to call Natalie family. Small world!